Registered Nurses & Medical Professionals Are Welcome! 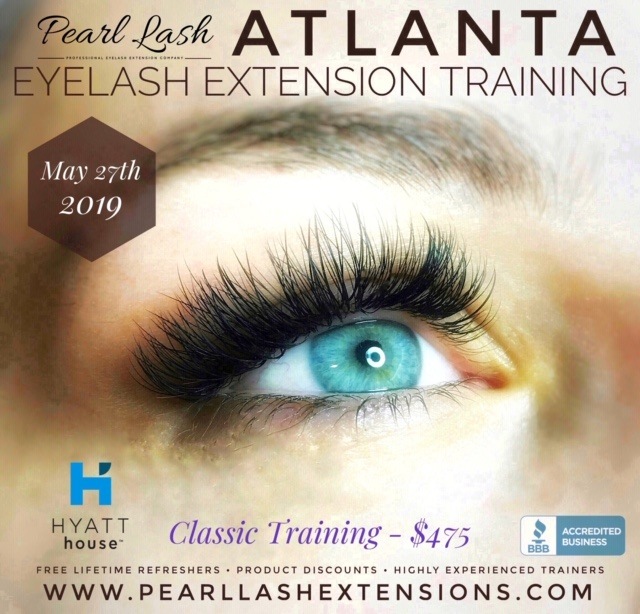 It might come as a surprise for many… however Pearl Lash has Certified many RNs (Registered Nurses) as well as various other medical professionals to become Eyelash Extension Artists. Contrary to the misinformation floating around the internet, Registered Nurses and All Medically Licensed Professionals ARE ALLOWED to legally work as an Eyelash Extension artist in the state of Florida. To fully comprehend this career shift, please look no further than the current average salary trends for nurses. When you consider the amount of work and time away from family an average RN has to deal with, no wonder we are currently having a significant career shift from the medical field into the beauty industry. 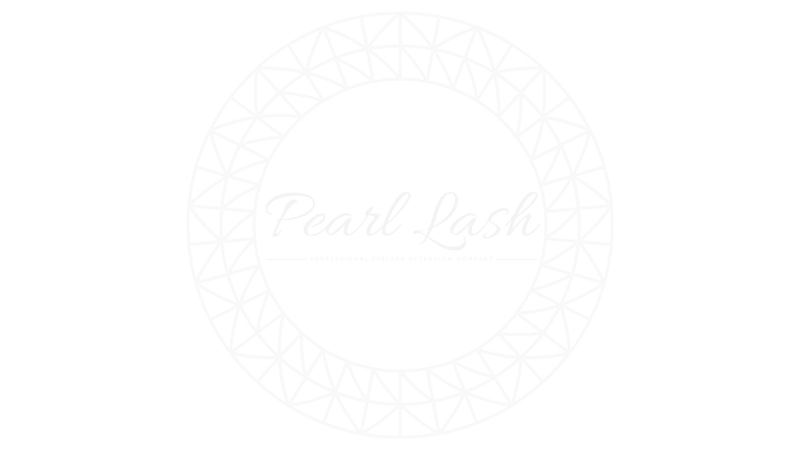 Over 80% of Pearl Lash Certified Lash Artists work independently, many as business owners others from their home studios. With top tier earners jumping north of the six digit yearly income, it makes all the sense in the world. 1. Where did the Lash Artist receive their training. 2. How devoted the Lash Artist is to his/her career. The good news, based on information shared by many of our graduates, to reach that top 25% or even top 10% earners tier is easier than one might think. If you look at the simple factors listed above (or more detailed instructions) you see that it is very important to receive proper training. Please understand that online courses, YouTube videos, friend teaching a friend, Lash Artist teaching on the side will NOT result in a successful career. It has been tried and tested by many with very minimal success and will almost certainly greatly limit your income potential. Receiving proper Professional Eyelash Extension education from an accredited and licensed academy with highly experienced Master Trainers is the most important step you have to take. Please make sure the training academy you choose offers complimentary refreshers and continuous education opportunities. This will help you down the road when you would like to come in and refresh your knowledge, receive updated information about current trends to stay on top. Your Eyelash Extension Certification Academy should always be there for you, not only for the training process, it is your career-long partner. Once a Lash Artist has completed their Eyelash Extension Training and is professionally Certified, it is now time to put in the work. Practice, practice, practice. The more time you are willing to put into perfecting your skills, the more you are going to differentiate yourself from your competition. Devotion to your new career will come with a reward, we have seen hundreds of out students achieve their financial goal, simply by putting in the hard work. If you are interested in starting a career as an Eyelash Extension Artist, please contact one of our knowledgeable staff members. We will be happy to assist you with any questions you might have. You may also browse our extensive FAQ section where you will find answers to most commonly asked questions. 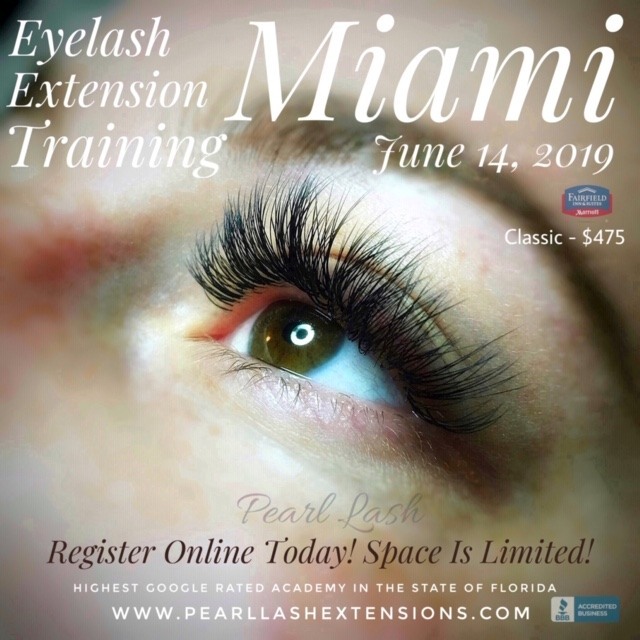 Pearl Lash is proud to be the Highest Rated Eyelash Extension Training Academy in the State of Florida for a second year in a row. Our entire team worked hard to earn the trust of our students and achieve an accreditation from the Better Business Bureau as an exceptional Florida based business.